Ready, Set, Draw! - "A wildly, fun 'Guess My Sketch' team game for all ages"
Look at the clue word, use your drawing skills to sketch it, get your teammate to guess the word, get points! Simple and Fun for Everyone! Liven up your party without need for paper or pen. A game everyone can play. Ready, Set, Draw! 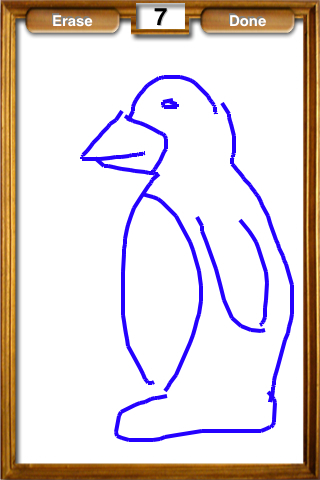 is a team game where teams (up to 4 teams) draw sketches and attempt to get their teammate to guess the clue word they are sketching. With beautiful graphics, smooth gameplay and easy to use, customizable interface, it is great fun for all ages or skill levels. 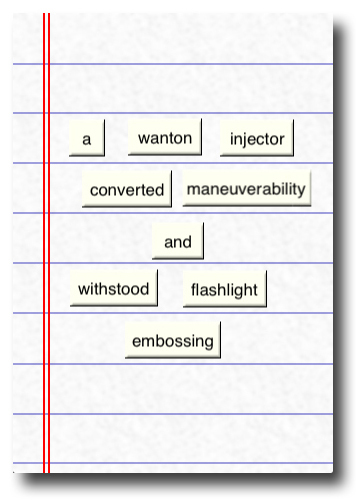 Containing a dictionary of over 600 words in three difficulty levels, there is fun gameplay for everyone. And since it is Universal, you will get the iPhone/iPod Touch version and the HD iPad version all in one App. One App, All iDevices! Click here to get it on iTunes App Store. 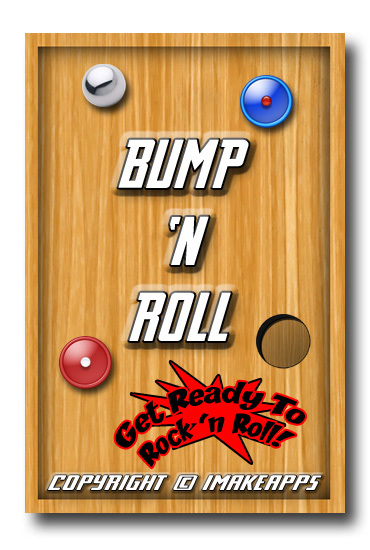 Bump 'N Roll - "Now Universally fun for iPad, too!" Part Bumper Pool, Part Pinball, All Fun! Easy to pickup, easy to play, easy to customize, hard to stop. 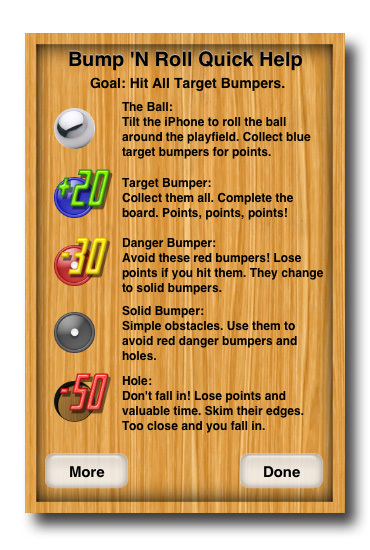 Bump 'N Roll is a game where you have a steel ball that you navigate around the wooden board and try to hit the blue target bumpers. You win points and if you clear them all, you move on to the next board. Avoid the red danger bumpers. They take points away. Use the black solid bumpers for ricochets and to avoid the red danger bumpers. Look out for the holes. Too close and you fall in and lose valuable points and time. 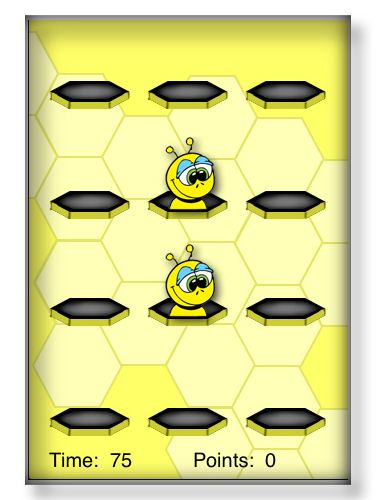 Use the Level Builder to create your own boards and levels with custom bumper and hole layouts. No time to build your own boards? 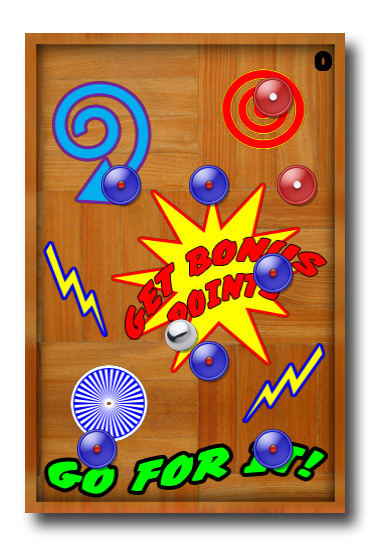 Use the Quick Play mode to jump into a set of randomly generated boards for endless play. Enjoy the rock 'n roll background music while playing. Customize the boards by type of wood and painted overlay images. Get rolling by rocking that iPhone or iPad with the new Universal version. One App, All iDevices! 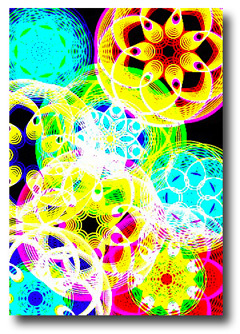 Spirals HD - "Redesigned for iPad"
Create and animate unlimited numbers of unique spiral patterns on your iPad. 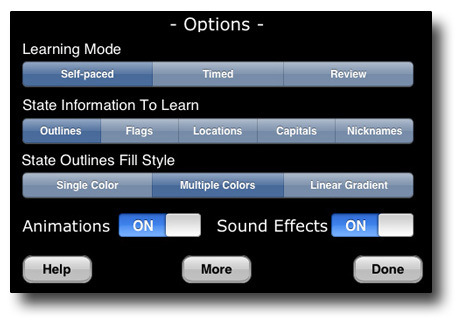 Using the popover control panel, you can adjust all of the settings to create and animate your visual masterpieces. 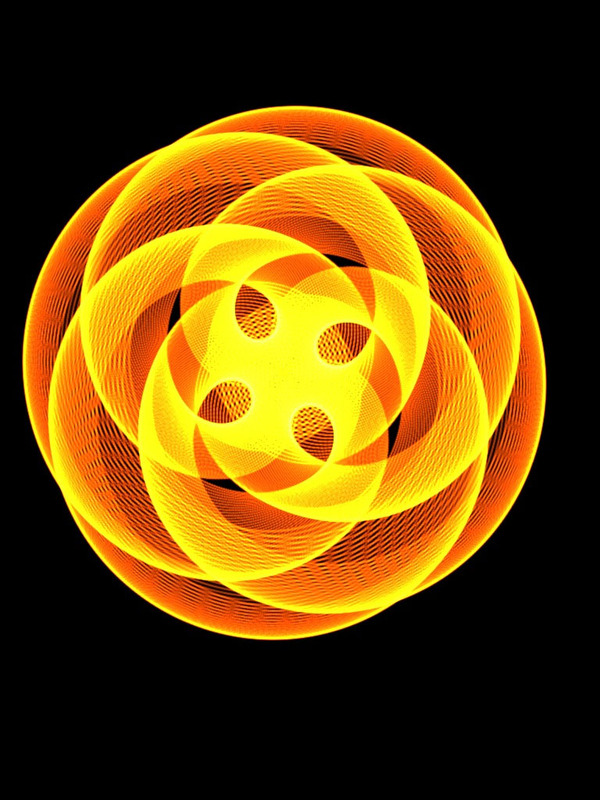 Spirals are made by two virtual circles rotating around each other. You don't see the virtual circles, but you do see the beauty they create. Change basic parameters such as size of the primary or secondary circle, the color, the animation speed and rotation speed. If you are feeling adventurous, play with color cycling, leave trails and animate drawing each point of the shape. You'll be amazed at what you can create. Touch the screen and your spiral will follow your finger. Give a quick shake and the image will be erased. And Spirals HD saves your settings when you quit. 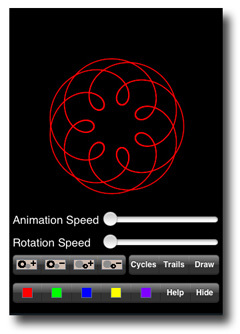 Turn on animation and use Spirals HD as a visualizer while you listen to music! Capture your visual masterpiece to the Saved Photos Album. Story Tiles HD - "Redesigned for iPad"
Story Tiles HD, Something different than a game but equally fun and time consuming. In Story Tiles HD, you rearrange the randomly generated word tiles to create fun and interesting phrases and sentences on your iPad. Here's how: Touch and drag the tiles to arrange them. 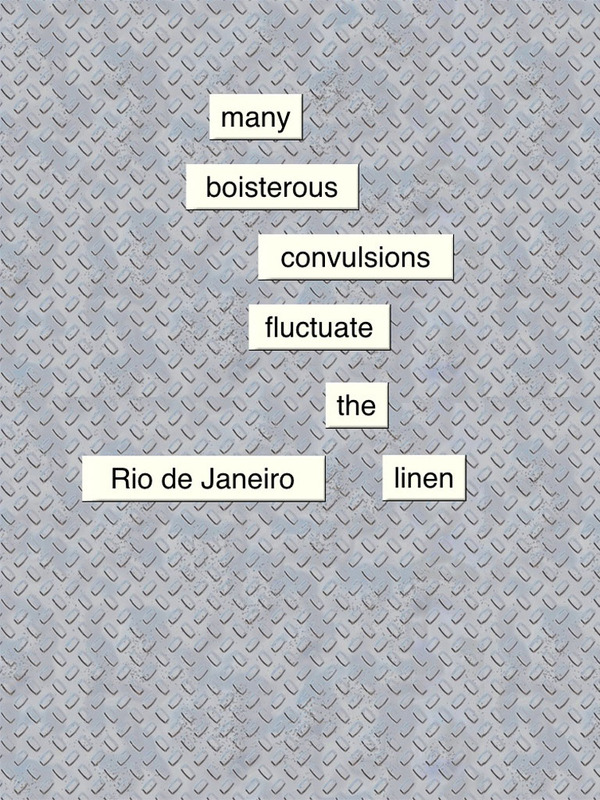 Double tap a tile to randomly generate a new word on it. Double tap the background image to add a single random word tile. For options, tap the background image. • select your background image. • choose number of tiles generated. • generate a new set of tiles. • save the current image to your Saved Photos Album. Millions of phrase possibilities from over 13,000 random words, will keep you entertained for hours. Simply Groceries Connected - "Focus on Saving Money, Not What To Buy"
Can't find a pen to add items to the list? Like to get your spouse to do the shopping? 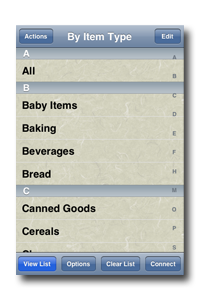 With Simply Groceries Connected, you can generate your grocery list quickly and easily. Add or delete to the preloaded database of over 250 items. Organize by Item Type or Store Location. Customize it the way you want it. 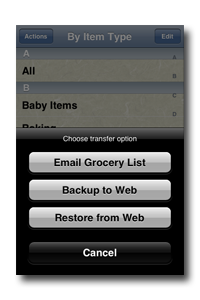 With this Connected version, you can email your grocery list to a recipient from your Contacts and backup and restore your items database on our iMakeApps web server. 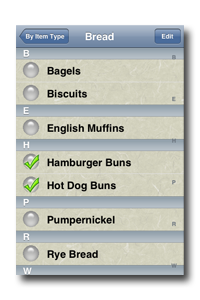 These web-connected features are not available in the basic Simply Groceries app. Next time you go to the store, forget the pen and paper and take your iPhone (which you were going to do anyway). Or you can send the list via email to a spouse or roommate while you avoid the grocery shopping. 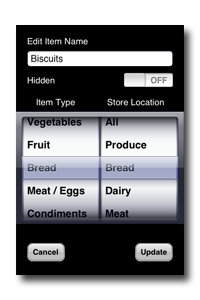 Click here to get Simply Groceries Connected User Guide PDF. Simply Groceries - "Focus on Saving Money, Not What To Buy"
With Simply Groceries, you can generate your grocery list quickly and easily. Add or delete to the preloaded database of over 250 items. Click here to get Simply Groceries User Guide PDF. 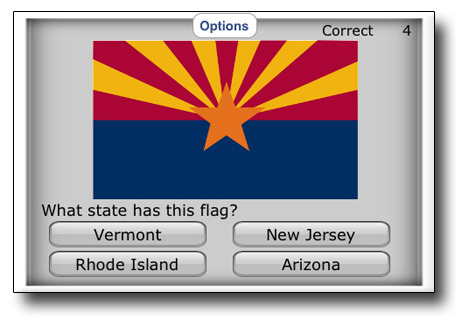 Get to know the U.S.A.
With this app, you will be able to learn state outlines and shapes, state capitals, state flags, state nicknames and the location of each state in the United States. There are 3 modes of learning: self-paced, timed and review. Use the review mode to learn the information without questions. The self-paced mode will quiz you about each topic and you can answer at your own speed. 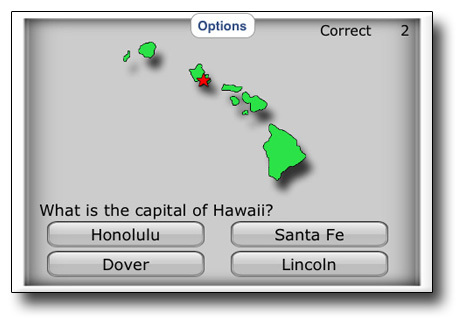 Advance to the timed mode and you will try to answer as many questions correctly in a 30 second period. Shapes and Colors, The Fun Way! 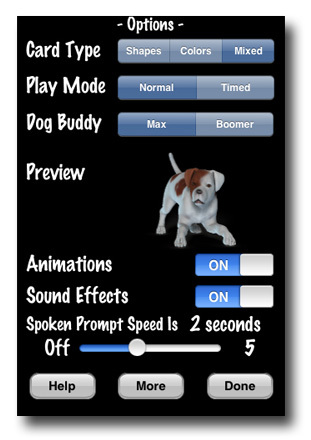 Max and Boomer are your dog buddies as you learn your shapes and colors. 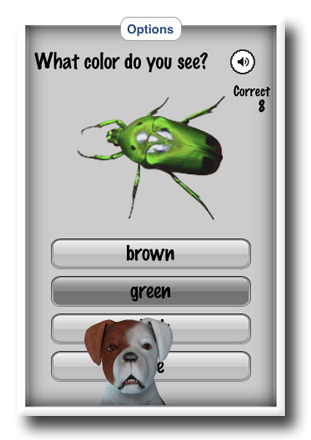 Pick either Max, the hound dog or Boomer, the husky and they will pop up to help you get the right answers. With over 550 objects of different shapes and colors, you can play and learn forever. Also, with built in audio prompts, you don't have to be able to read to play and learn. But if you can read, you can answer quicker and play the timed mode. The timed mode will present you with as many objects to identify as you can in 30 seconds. Play against your friends or family. So have a good time and you will learn without pressure. Always have fresh powder in your pocket. 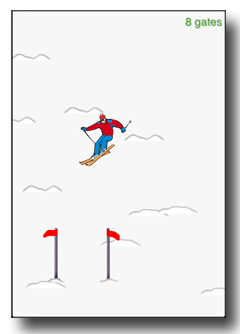 A very easy to play downhill skiing and snowboarding game. 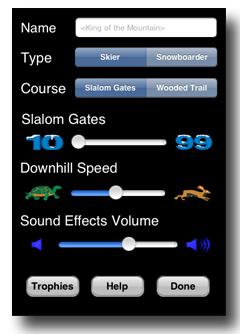 Just tilt the iPhone left or right to make your skier move side to side as he travels down the mountain. Tilt the iPhone forward (more vertical) and he will get a speed boost. Tilt the iPhone away from you and he will slow down. Target snow mounds to make small jumps. You can choose from two different courses: slalom course or the trail with trees. All options and downhill run information are saved for you. Watch out for the random wolf or snowmobiler that may cross your path! No waiting for ski lifts on this course. Spirals - "caution: these are addictive!" 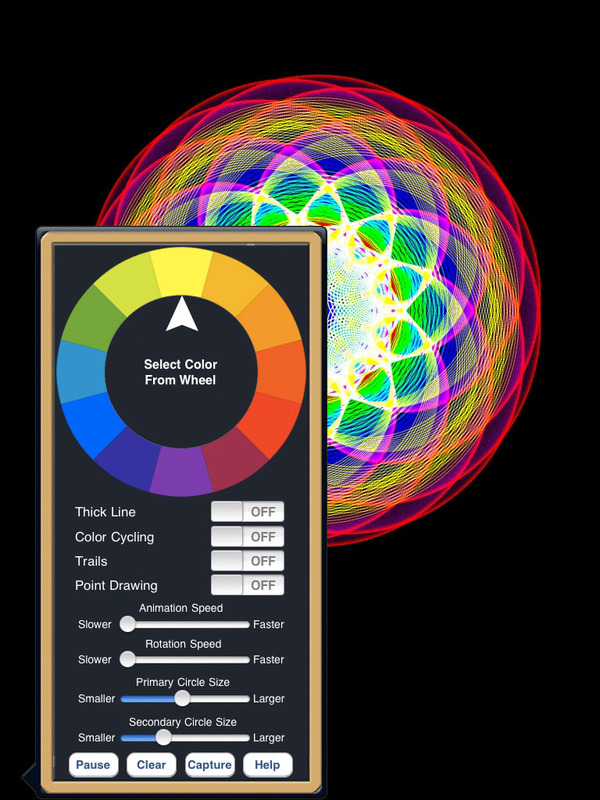 Create and animate unlimited numbers of unique spiral patterns. 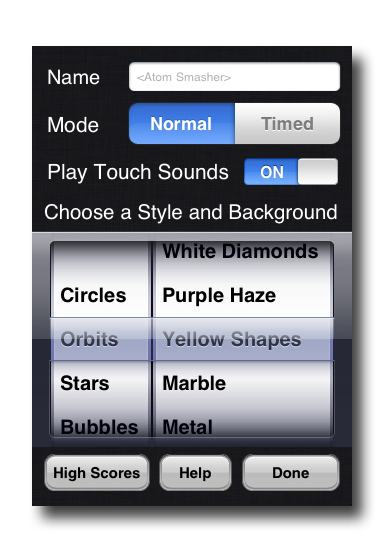 Using the pop-up control panel, you can adjust all of the settings to create and animate your visual art. Give a quick shake and the primary color will change. And Spirals saves your settings when you quit. 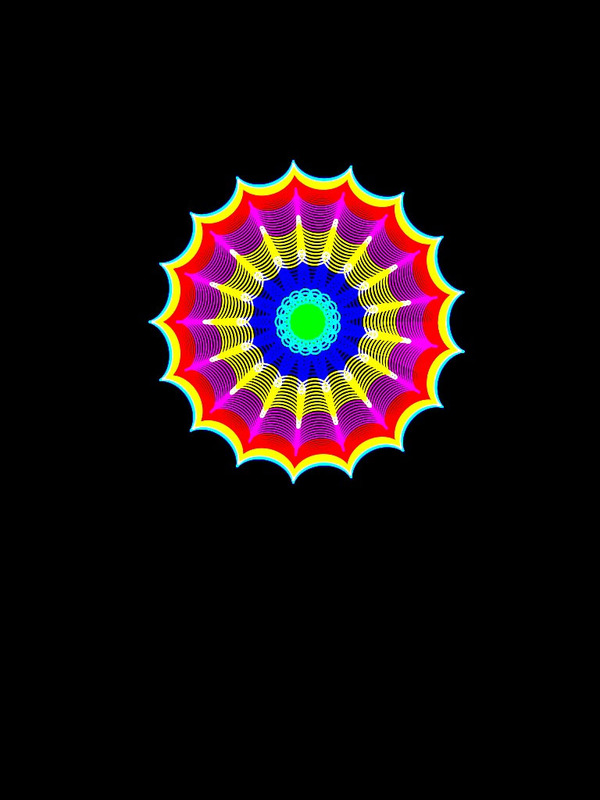 Turn on animation and use Spirals as a visualizer while you listen to music! To save a screenshot of your current masterpiece, press the Home and Sleep buttons at the same time quickly. If you see a white flash, your spiral has been saved to your Saved Photos Album. 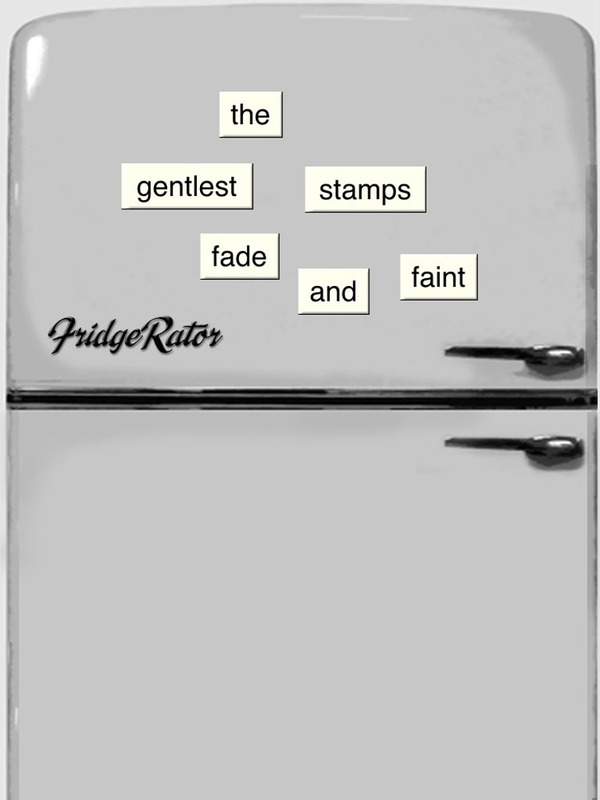 Story Tiles - "words can be fun!" Story Tiles. Not a game but equally fun and time consuming. 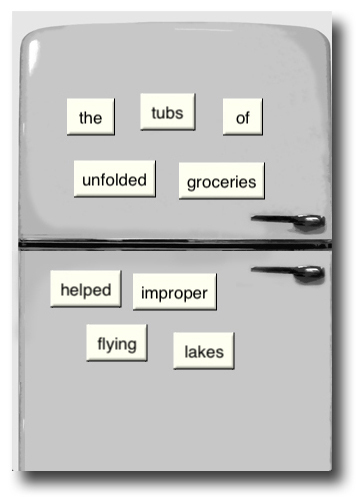 In Story Tiles, you rearrange the randomly generated word tiles to create fun and interesting phrases and sentences. Over 13,000 random words and millions of phrase possibilities will keep you entertained for hours. Atom Smasher - "get it now!" Atom Smasher is a board game with a twist. The board is filled with pieces containing a positive or negative charge. Your goal is to clear the board or leave only solitary pieces of the same charge. 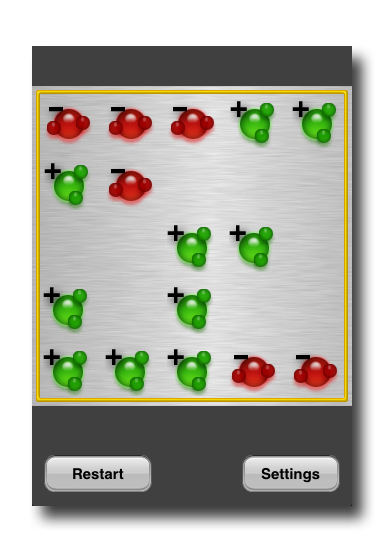 You tap a piece and if it has adjacent pieces of the same charge, the adjacent pieces will be removed. There's a catch: the tapped piece will toggle to the opposite charge and remain. If all adjacent pieces are the same charge as the tapped piece, the tapped piece will be removed also. Scoring: 100 points for each piece removed from the board, 250 points for keeping the number of taps under 10, 150 points for having 3 or less pieces remaining and 2000 points for clearing the board. • Normal mode - once pieces are removed they stay removed. • Timed mode - pieces will regenerate every few seconds. Your current game and preferences are automatically saved on exit, so you jump back in when you re-launch the app. Chess 960 - "saves you time!" This utility is not a chess game. 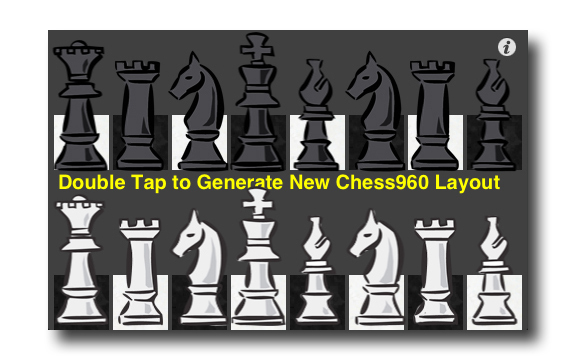 It is a very helpful utility that generates any of 960 possible back line layouts based on an algorithm created by late former chess World Champion, Bobby Fischer. Chess 960 modifies the rules of Shuffle Chess so castling may occur for all starting positions. • Each side's king will be placed somewhere between the two rooks. • The bishops are placed on opposite colored squares. The layout is generated for the white pieces and the black pieces are placed equal and opposite. There are user options to turn off board squares and to flip the opponent pieces. This allows easier set up of the physical chess board for you and your opponent. Space Truckers - "space travel in your hand!" Fly your deep space cargo ship through the chaotic space lanes in an attempt to deliver your cargo. Using simple tilt controls, you must avoid obstacles like other space ships and asteroids, while picking up shield boosters and extra fuel. The first levels may seem easy but that is just to prepare you for levels with more obstacles and less time to retrieve fuel and shields. 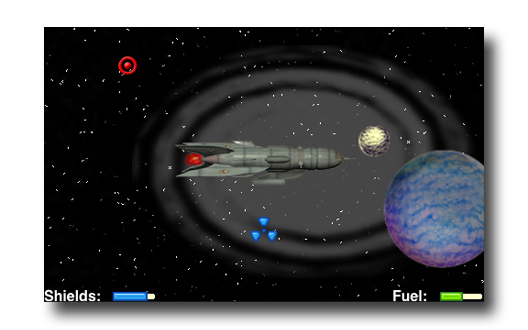 This game contains custom sound effects and several layers of moving, animated images. How long can you keep flying? Smack A Toon - "don't be fooled by imitators!" A fast-paced, family friendly game that resembles a familiar arcade game where moles get whacked. In our version, you can choose from 10 different cartoon characters (with more added in each update). 2 new characters just added! With sound effects, multiple levels of difficulty, and saved high scores, the only thing missing from this game is you! YouDo Voodoo - "excellent and fun therapy"
A healthy and fun diversion that is a cheap alternative to therapy. 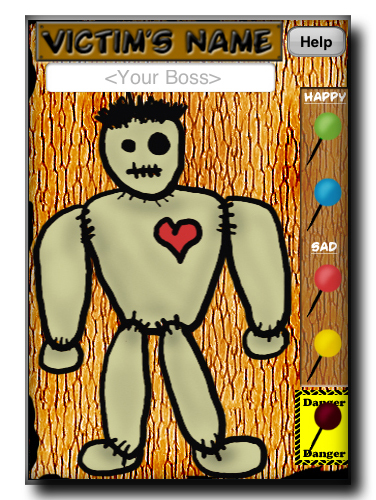 If someone is troubling you, use our little voodoo doll to release your frustrations. Stick a pin in the voodoo doll and feel better instantly. The doll will respond to each pin. There are even pins to bring pleasure to the voodoo doll (and maybe even to your intended victim). Will the victim be affected? We're not sure, but you will be affected... positively. Country Codes - "make life easy"
A simple utility developed as an internal tool to keep track of App Store sales in countries throughout the world. 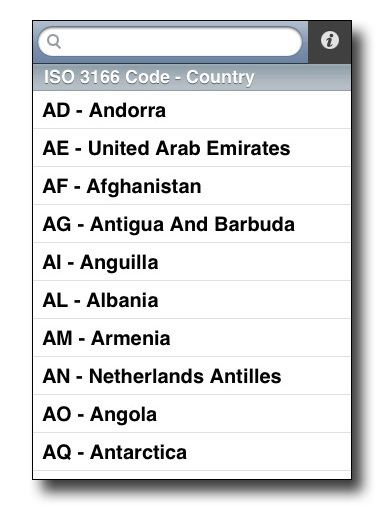 You can enter 1 or 2 characters to search by ISO 3166 country code or search by country name with 3 or more letters. Provided FREE by iMakeApps to anyone who needs it.